Melissa Binkley is a humanitarian on a mission to help society to transcend through trauma to a new level of consciousness. She is the creator and founder of The Intuitive Intelligence Academy™. She is Intuitive Intelligence™ Trainer, Certified Mastery Transformational Coach, Soul & Business Strategist, #1 Best- Selling Author. 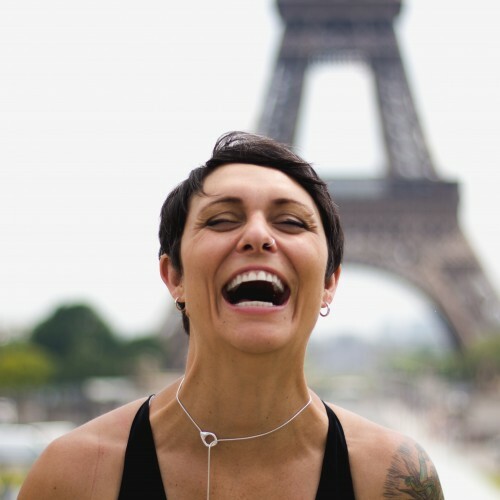 Melissa is a dynamic, highly sought-after International Speaker and Thought Leader known for her ability to transcend limiting beliefs, she uses several techniques that fuse science and spirituality, personal development, and the quantum field. In 2014, Melissa developed her own mode of Spiritual Transformational Process called Intuitive Intelligence™ that is transforming lives and healing trauma through this new healing modality. Melissa is on a mission to raise social, sustainable, conscious awareness and spirituality through a wholistic approach through supporting healers, creatives, artists, light-workers, highly-sensitive coaches and speakers to live their purpose, tap into Intuitive Intelligence™ to create a Global Impact. She believes you can curse, have tattoos, own guns, dance till dawn and still be spiritual. Exotic countries, Yoga, hiking, and Green Matcha Lattes light her up. She intends to raise the vibration of 1 billion people and heal trauma through her humanitarian work. Melissa is a sought after speaker who has share the platforms with Marianne Williamson, Dr. John Demartini, Lewis Howes, Deepak Chopra, Gabby Bernstein and is also a teacher for the Institute for Integrative Nutrition. She has been featured in TV, Radio and Podcast worldwide. Find out more about Melissa Binkley at http://www.MelissaBinkley.com.